Having been unable to field a side in their second round Division 1 League clash against Cork ten days ago, things fell apart last weekend when they had just 13 players available for their clash with Galway in Gort last Sunday. The Model ladies were handed a whopping 9-23 to 1-2 defeat and their 45-point defeat was all the more demoralising with Galway accommodating them by only fielding 13 players in the second half. With Martin Carey - brother of Kilkenny hurling legend DJ - leaving his position as Model boss in early January, Wexford are still without a manager while several players are not currently committing to the county squad. That, combined with St Martin's run to the All-Ireland senior club camogie final, has left Wexford depleted but Storey feels it's far too late to be trying to fill the post and feels this reflects badly on all involved. "February is a bit late (to be getting a manager), it should be all sorted in November and December when girls are going back training. 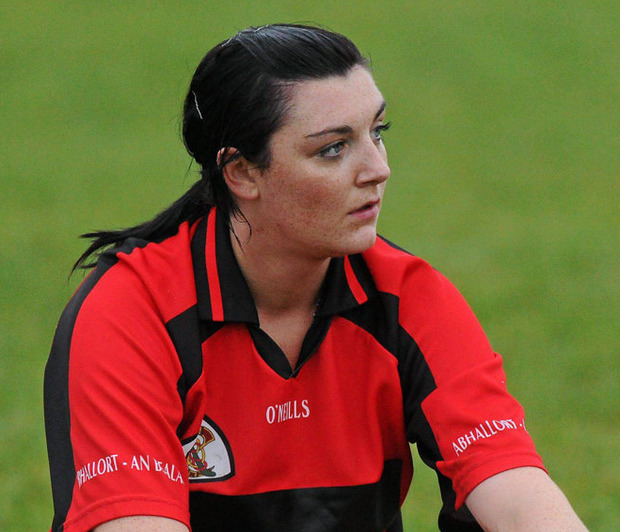 It is hard on girls that are trying to plan around their lives," Storey told RTÉ. "It is such a commitment to play for Wexford. It shouldn't be something that we have to worry about. All we should have to worry about is turning up and playing the matches. It's disappointing and embarrassing that it has come to that." Considering they completed an All-Ireland senior three-in-a-row in 2012, this is a remarkable fall from grace for Wexford and have struggled in recent seasons since the likes of Kate Kelly and Ursula Jacob exited the inter-county scene. Wexford have already surrendered half of their WGPA grant - €4,500 of their €9,000 allocation - after handing Cork a walkover but the players' body have offered mediation services to help rectify issues. Chairperson of Wexford's Camogie Board Jacinta Roche outlined that she hopes to work with the WGPA in the coming weeks while they are keen to have a manger in place before round 4 of the League. "We have parted ways with our manager and we are actively looking for a new manager. We had some interviews last week and we're hoping to have a few more this week," Roche said. With their next assignment against last year's All-Ireland semi-finalists Tipperary in a fortnight's time, Wexford are under pressure to get their house in order in quick time.